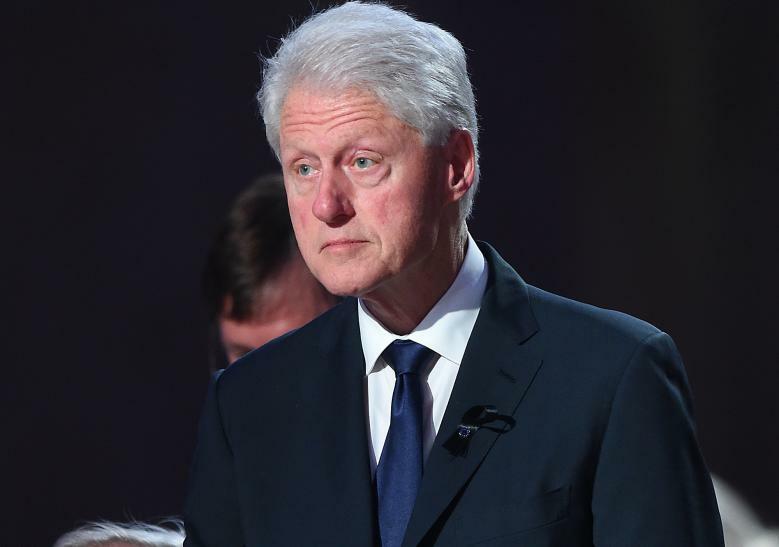 August 19th marks the 71st birthday of former American president Bill Clinton. Born on Aug. 19, 1946, in Hope, Arkansas, he was the second-youngest president ever to be elected in the history of United States after defeating former President George H.W. Bush and Ross Perot in 1992. Clinton was 46 years old at the time of his inauguration. He served as the U.S. president from 1993 to 2001. In 1996, Clinton became the first Democrat to be elected to a second term since former President Franklin Delano Roosevelt in 1936. To celebrate his birthday, here are some of his best sayings, ranging from inspirational to hilarious, collected from Goodreads, Notable-Quotes, and Entrepreneur.com. "We all do better when we work together. Our differences do matter, but our common humanity matters more." "I learned a lot from the stories my uncle, aunts and grandparents told me: that no one is perfect but most people are good; that people can’t be judged by their worst or weakest moments; that harsh judgments can make hypocrites of us all; that a lot of life is just showing up and hanging on; that laughter is often the best, and sometimes the only response to pain. Perhaps most importantly, I learned that everyone has a story – of dreams and nightmares, hope and heartache, love and loss, courage and fear, sacrifice and selfishness." "As powerful as our memories are, our dreams must be even stronger. For when our memories outweigh our dreams, we become old." "Being president is like running a cemetery: you've got a lot of people under you and nobody's listening." "Let us all take more responsibility not only for ourselves and our families but for our communities and our country." "If you want to have a good life you have to have some constructive outlet for your feelings." "If you live long enough, you'll make mistakes. But if you learn from them, you'll be a better person. It's how you handle adversity, not how it affects you. The main thing is never quit, never quit, never quit." "Nobody’s right all the time, and a broken clock is right twice a day. We’re compelled to spend our fleeting lives between those two extremes, knowing we’re never going to be right all the time and hoping we’re right more than twice a day." "If a politician doesn't wanna get beat up, he shouldn't run for office. If a football player doesn't want to get tackled or want the risk of an occasional clip he shouldn't put the pads on." "I may not have been the greatest president, but I've had the most fun eight years." "I believe I'm a better authority than anybody else in America on my own wife. I have never known a person with a stronger sense of right and wrong in my life — ever." "Mental illness is nothing to be ashamed of, but stigma and bias shame us all." "If being a good politician means that I've been able to be re-elected in tough times as well as good times, and have been able to build a broad base of support for priorities that were both important and that required the people of my state to change, then I plead guilty." "I still believe in a place called Hope, a place called America." Why Did Bill Clinton Gift George H.W. Bush A Pair Of Socks?